We have moved from the era of civil rights to the era of human rights, an era where we are called upon to raise certain basic questions about the whole society. We have been in a reform movement…But after Selma and the voting rights bill, we moved into a new era, which must be the era of revolution. We must recognize that we can’t solve our problem now until there is a radical redistribution of economic and political power. King’s assassination cut short his pursuit of this more radical vision. In many ways it also marked the beginning of a new chapter in America’s sordid problem of the color line. Amid the riots that followed King’s assassination, President Johnson signed the long delayed Fair Housing Act of 1968. 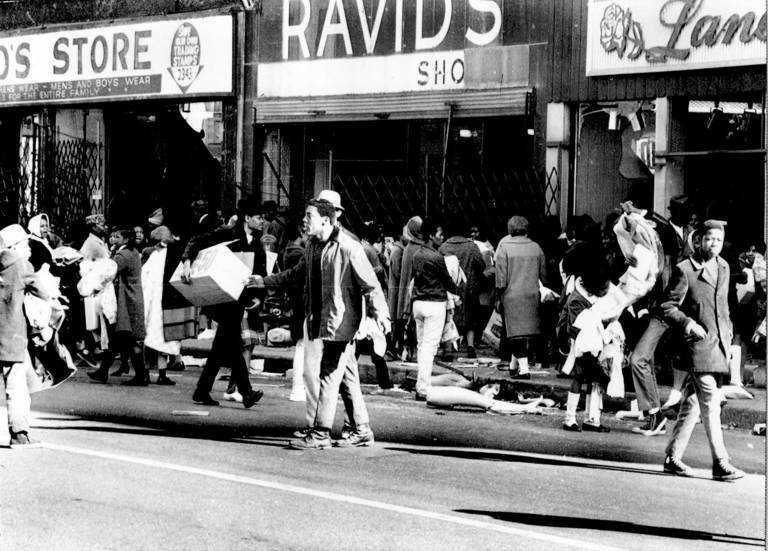 The Act promised to interrupt the processes of Black ghettoization and white suburban flight that were well underway by the end of the 1960s. After decades of weak enforcement, however, cities today remain racially segregated. Moreover, the nation’s legacy of racist housing policy has led to an ever-widening racial wealth gap that has emerged as a defining feature of the much larger issue of growing economic inequality. As an affordable housing crisis grips most American cities, the public is increasingly in tune with concerns over gentrification and the need for equitable redevelopment. Said differently, there is a growing recognition that we must aggressively pursue the hard work of correcting for the failed urban policies that have long had as their chief objective the exclusion and marginalization of Black communities. As the urban redevelopment consensus grows, so too does our appreciation of the depths of the problem. The determination to ensure Black social and economic subordination shaped twentieth century urban policy. Consequently policing and incarceration emerged as the dominant policy responses to the government-mandated racial segregation that destabilized Black communities in the first place. Decades of redlining, wage theft, dilapidated infrastructure, and the many other deliberate assaults on Black humanity were casually forgotten. Black “culture” was deemed solely responsible for the condition of poor Black neighborhoods and marked them for the most draconian, inhumane, and extra judicial treatment. The resulting tide of mass incarceration further destabilized those neighborhoods while taking a devastating toll on Black families and individual lives. These nationalized trends manifested themselves in a variety of locally-specific ways. In Baton Rouge the record-setting 47-year fight over school integration effectively reshaped one city into two. It gave birth to “North Baton Rouge,” a local shorthand for the geography of Black poverty and social exclusion. For those who have internalized the logic of racial stratification, having a geographically adjacent zone of racialized mass disinvestment was a small price to pay for the satisfaction of punishing the Black communities they were convinced deserved such contempt. 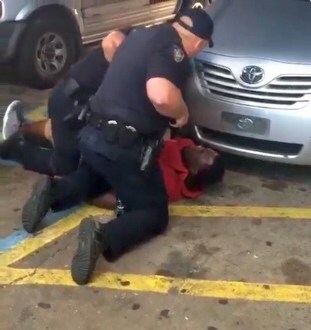 Racial tensions exploded in the summer of 2016 when cell phone video captured the killing of Alton Sterling while two Baton Rouge police officers pinned him against the pavement. Last week the Baton Rouge Police Department finally released the body camera video from the fateful encounter. The video shows Officer Blane Salamoni –abandoning any semblance of police protocol or basic human decency– rush a confused Sterling, hurl expletives in an enraged tirade, threaten Sterling’s life before needlessly taking it, then cursing his dying corpse while callously rifling through his pockets for an alibi. It’s shocking and horrific. The tragedy follows a seemingly unending succession of similar tragedies around the nation and a growing consensus that decisive action is necessary. In spite of all of this, neither the Department of Justice nor the Louisiana Attorney General could find probable cause to impanel a grand jury for a possible criminal indictment. The chorus of bigotry and hatred from those who populate the online comments sections of the city’s papers or those who have voiced their unyielding support of Salamoni – even in the face of the new video – is drowned out only by the silence of many, many more. Part of the trauma many of us experience watching the Sterling videos and others like them is tied to the indifference of those who refuse to accept that something pathological, intentional and historically driven is at play. It’s likely only a matter of time before we receive the next hashtag about a Black body racked with bullets after making some armed, trained officer fear for his life. In his last speech King prophesied that we had some difficult days ahead. That is as true in 2018 as it was in 1968. Christopher J. Tyson is the Newman Trowbridge Distinguished Associate Professor of Law at LSU’s Paul M. Hebert Law Center, where he teaches property and local government law. He is also the son of former U.S. Chief District Court Judge Ralph Tyson. Follow him at @chrisjtyson.